Jesse and Brittany discuss juggling life activities, listener voicemails and emails related to Fox News and the citizenship census question, the ban on Kate Smith’s version of ‘God Bless America’, Bernie Sanders’ explanation for his taxes and his answer to whether or not prisoners should be able to vote, and Elizabeth Warren’s student loan debt relief proposal. Jesse and Brittany discuss the incessant whining in their household, listener emails and voicemails related to Julian Assange, Representative Ilhan Omar, and Mormons, a new analysis from Ryan Burge showing that Americans with no religion are (barely) the largest religious group for the first time, Donald Trump’s incessant attacks on Representative Ilhan Omar, Bernie Sanders’ tax returns and charitable giving, and A$$hole of Today featuring Justice Clarence Thomas. Jesse and Brittany discuss their 2020 Democratic presidential candidates, listener emails and voicemails related to Representative Ilhan Omar and false attacks from Republicans and the LDS Church, William Barr’s testimony before Congress, Julian Assange’s Arrest, and Takin’ Care of Biz featuring Representative Katie Porter. Jesse and Brittany discuss their interesting Lyft experience, a listener voicemail related to homework and learning styles, Donald Trump’s taxes, Kirstjen Nielsen’s decision to step down from her position as Secretary of Homeland Security, and Takin’ Care of Biz featuring Ruben Garcia of Annunciation House. Jesse and Brittany discuss their weekend filled with revelry, listener emails and voicemails related to Joe Biden’s friendly behavior, grade school homework, and a touching note from a listener, the incomplete picture of the Mueller report, the Chinese national who made it into Mar-a-Lago, the trouble with Trump’s taxes, and A$$hole of Today featuring the LDS Church. 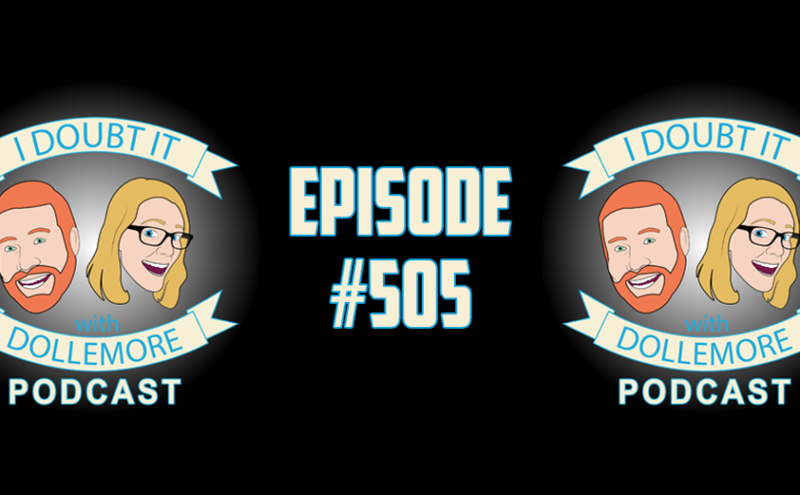 Jesse and Brittany discuss their feelings about April Fools’ Day, the changes in American schoolchildren’s homework over the years, Lucy Flores’ accusations against Joe Biden, reactions to the Mueller report findings by way of the Barr summary, and Donald Trump’s campaign-mode. Jesse and Brittany discuss their 500th episode milestone, Emily McDowell’s profound empathy cards, the finalized Mueller report, Steve King’s continued racism, and Takin’ Care of Biz featuring Tanitoluwa Adewumi.